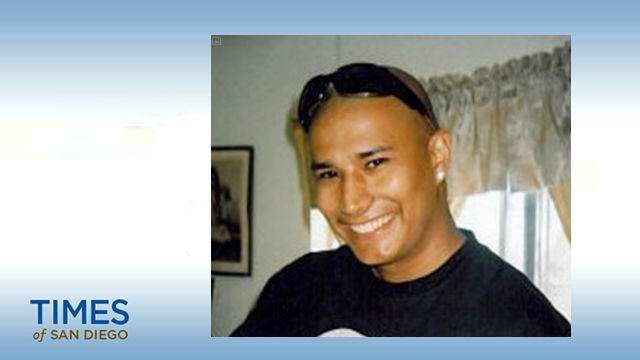 Law enforcement authorities are seeking the public’s help to solve the cold-case murder of a 26-year-old San Diego father who was gunned down on this date 10 years ago Friday on a residential street in the Oak Park neighborhood. Salvador Hernandez was sitting with a woman in a parked car around 3:30 a.m. on Feb. 16, 2008, when a pickup truck pulled alongside them in the 5500 block of Seifert Street, San Diego police homicide Lt. Mike Holden said. An occupant of the pickup opened fire, striking both Hernandez and the woman, who police have not publicly identified. The woman survived the shooting, but Hernandez died at the scene. Each year on the anniversary of his death, Hernandez’s family has gathered for a candle light vigil at the spot where he was killed, near Holy Spirit Church, east of 54th Street and south of College Grove Drive. The family plans to again speak out about his death Friday at a news conference outside the San Diego Police Department headquarters in downtown. Two years ago, the victim’s mother told NBC7 about Hernandez’s son, who was 2 years old when his father was killed. The boy, now 12, has no memory of his father, Cathy Hernandez said. But she said her grandson is the “spitting image” of her slain son. “The way he eats, the way he drinks, the way he spells, the way he looks thin, the way he smiles, the love he gives,” Cathy Hernandez said, adding that time does not heal the pain of losing her son. Little is known about the suspect or suspects, except that the killer was in a light-colored, older pickup truck of unknown make and model. Anyone with information about the slaying was asked to call the SDPD’s homicide unit at (619) 531-2293, San Diego County Crime Stoppers at (888) 580-8477 or contact the agency online at sdcrimestoppers.org. Tipsters may remain anonymous and could be eligible for a reward of up to $1,000.